Pearl is the author of The Beading Gem's Journal -Jewelry Expressions in Bloom blog. 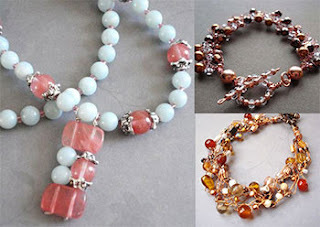 She started the blog in 2005 because she wanted a place to share the fascinating stories behind the beads and gemstones used in her designs, the designs of other beading fanatics, jewelry facts, tidbits and information. Pearl writes about everything from her bead passions to gardening. It is her way to personally connect with the worldwide community of beaders and enthusiasts. 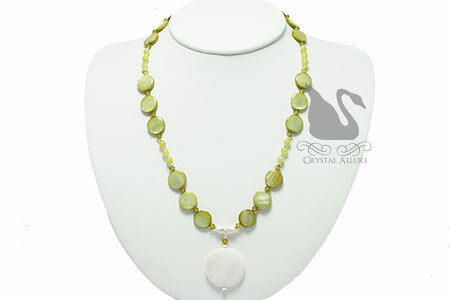 Pearl is also part of The Bead Sisterhood which is a Canandian group of jewelry artisans. 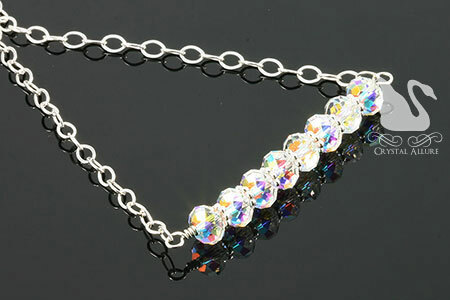 Some of her fabulous designs are featured below and can be found online at www.beadsisterhood.com. It always amazes me where Pearl finds her jewelry articles and postings for the day! Some of the unique jewelry she has introduced is, for some of us, out of this world. It's almost too difficult to describe -you simply have to visit and explore The Beading Gem's Journal for yourself (there are links at the top and scrolling down the sidebars). Whether you are just starting out, have been designing for years or wish to learn a new technique, check out her link to a whole bunch of free jewelry videos (yes, that's right....FREE). Another feature of the blog is Pearl's library catalogue where you can browse what she has to say about the many books she has read and her personal rating of that book. Ever wonder how a particular design comes to fruition? What inspired that artist? Whether you're curious what inspires a jewelry designer or you wish to share with the world the inspiration behind one of your own designs, you'll find it all in the Readers Gallery. is a place where I get to indulge and share with the community. So head on over to The Beading Gem's Journal, check it out, comment (and tell Pearl you heard about her through the Crystal Allure Studio Blog), enjoy the plethora of information provided and before leaving -be sure to subscribe for FREE so you never miss a post! As a thank you to all my loyal studio blog readers and followers, I wanted to extend a FREE SHIP** offer with orders of $30 or more, this weekend only, starts Friday August 28th - Sunday, August 30, 2009. 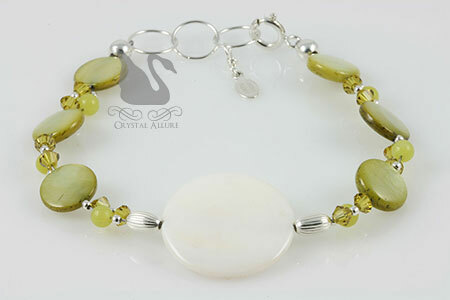 It's simple, place your favorite Crystal Allure beaded jewelry and gifts in your cart, select your shipping option*, then under the discount coupon box, enter the code "blogfreeship". 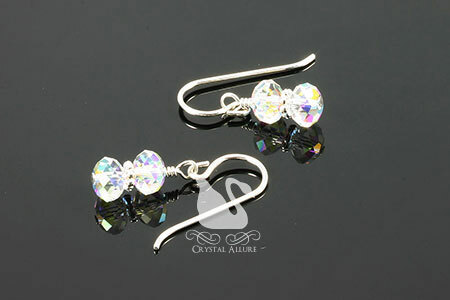 And viola' -FREE SHIPPING**! Don't forget to check out the summer sale and clearance for even more added savings. Now that your kids school shopping is done -get yourself something for the new school year. As a short note, you will notice I've been working on the Studio Blog look. I'm still playing around with the header but overall, I'm loving the new look. Leave a comment and tell me what you think. *In order for the cart to properly discount your shipping, you must first select a shipping option. **Orders under this special will be shipped USPS First Class. Please allow up to 10 days to receive your purchase.